A little over a year ago, I posted about no-kill cities. I get a fair number of hits from people searching for information, and I was curious to see what might have changed (hopefully for the better) since I posted on this topic. Someone is talking in a nice amount of detail about LA’s move in this direction. Confusingly the author sees LA as on track for being the first major metropolitan city in the U.S. to become no-kill. San Francisco went no-kill over a decade ago (1994), and I’d have thought SF could be considered a major metropolitan area! Nevertheless, this blogger is clearly researching and outlining issue and solutions, and it could be a good resource for others. NYC is still working on their 10 year plan (begun in 2002) to become no-kill, and they are reporting a 30% reduction in euthanized pets since beginning this campaign. Sadly, the NYC Port Officials continue their absurd prejudice against the feral colony at JFK, a colony that has been maintained and under control for years. 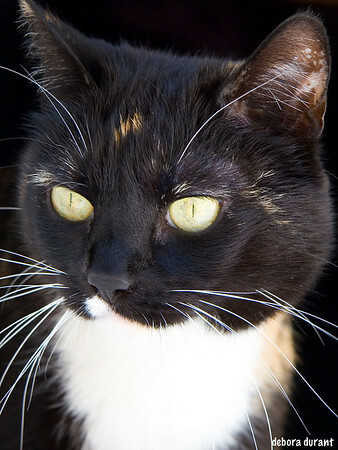 In 2001, Tompkins County, New York transitioned over a two-year period to a no-kill community. The Tompkins SPCA, an open-admission shelter and animal control facility for Tompkins county, was instrumental in achieving this goal. Tompkins SPCA was able to achieve a live release rate of over 90% every year since then. Tompkins SPCA was able to achieve this while going from having a budget deficit to a budget surplus and was even able to raise millions of dollars to build a new cageless no-kill shelter. In 2006, 145 (6% of a total intake of 2353) dogs and cats classified as unhealthy or untreatable were euthanised. In comparison, the national average rate of euthanasia in 2005 was 56%. The wiki page is worth looking at for the linked resources alone. I came across a no-kill cageless cat shelter in Tucson, Az, The Hermitage. Some of the stories are heartbreaking, but it is wonderful to hear about a place where “unadoptable” cats can live out their lives. I also happened to hear about a shelter on Long Island that sounds great, Angel’s Gate. They take a lot of animals that are unadoptable for a variety of reasons. They were featured on a recent (April 28, 2008 ) Oprah show as well, so if you Tivo, you might be able to catch it. Or maybe from Oprah’s website. No Kill Now’s resource page looks like they’ve covered just about everything. Richmond, VA reported at the beginning of 2007 that they had successfully achieved their first no-kill year in 2006, two years earlier than the goal they set in 2002 to become no-kill by 2008. They’re now extending their plans to surrounding counties. I look forward to this reaching the DC metro area, for which I have yet to hear a single peep from anyone regarding the no-kill movement. Shame on us! And of course I am reminded that there was a book that came out last year on this issue, which I have not read. I’ll have to look for a copy to read at some point. The associated website looks pretty helpful, No Kill Advocacy. Philadelphia still looks like it has a no-kill goal, though it certainly isn’t in the news in Philly, and its alliance website that was up last year has expired. They have nevertheless taken their dismal numbers from 2005 (only 10% of the animals taken into the city shelter made it back out alive) and drastically improved them. 60% of the animals they took in in 2007 were adopted out. That’s strong progress, and I hope they continue to make that kind of progress. Their original goal was to be no-kill by 2015. This is not an exhaustive list – Tulsa, OK, for example, has soft language of a no-kill goal – but the point in any case was that it is possible. There are models in place that are proving to work. I find this encouraging. Unfortunately there are also places like Denver that have Breed Specific Legislation, which makes it near impossible for them to become no-kill. And unsurprisingly for a city that has kill orders for specific breeds, there is no talk of no-kill goals. Best Friends hosted a summit in 2006 on this topic in Denver. Beyond that we know from our decades of experience with tens of thousands of dogs that trying to correlate a dog’s likelihood to bite a person with their breed is pointless. So, while we know that breed bans are really a lazy and uninformed approach to a growing problem we didn’t have enough information to formulate alternative remedies. And if we, the humane movement, don’t get in front of this issue now, we will find ourselves responding after the fact to regulations and legislation in community after community that adversely affects people’s pets. Beyond Denver’s Pit Bull ban, there are 26 breeds and many more mixes that are currently banned somewhere in this country. It’s a real problem that could threaten virtually every family dog over 30 pounds in the name of public safety. And for people (like Ingrid Newkirk, thankyouverymuch) who actually support BSL, go ahead, find the pitbull. “Pit bull” has become a catch-all term, with 20 different breeds commonly identified as “pit bull”. Check out understand a bull for quite a bit of information on the issue, and the dogs. There are several states (confusingly including Colorado) that have state level laws that prohibit the passing of BSL. So, overall it doesn’t seem like much has changed since last year. I am nevertheless pleased to see that there have been no major setbacks or scandals (that I could find). Hopefully next time I do an update there will be more cities getting on this wagon. It would be even nicer, of course, if “no-kill” didn’t refer only to cats and dogs. Yeah, Nathan Winograd’s book Redemption is amazing! It made me really furious & also really hopeful. We are probably moving to the UK in the fall (bringing our cats w/us of course–& w/o quarantine, b/c they have a special program! ), & I was disgusted to learn that pit bulls are banned in the UK. BSL on a national level, augh. That is really sad about the country-wide BSL in the UK. I should read up on the history of that. I was so happy when the UK (and hawaii and australia and maybe all the islands by now) started coming up with ways for people to bring their pets into the country w/o quarantine. Not that I have any plans to move to any of them right now, but it is always nice to have options! Nathan Winograd has led a number of communities to no-kill success— meaning that they kill around or less than 10% of animals sheltered at the government’s open-admission pound. Those communities are the leaders in the no-kill movement in the United States: San Francisco, CA; Ithaca, NY; Charlottesville, VA; Ivans County, Utah; Orange County, VA; and Reno, NV. That’s interesting! I’ve read so many things about SF and Tompkins County and Richmond… and Nathan Winograd’s name never came up. He (or rather, his for-profit firm) consulted for Philly when they decided on a no-kill goal, and that’s the only time I remember hearing about him, other than his book. I was wondering if anyone could give me any advice on helping to make my county a no kill county. I live In Orange County, CA. I was looking into starting a petition, I don’t know how attainable this goal is. My dog was just put down because the shelter advised me to wait until he was put up for adoption to take him back home because it would be easier . But he never got put up for adoption. I don’t know where to start p.s this is the same OC Animal Services that is currently being sued for 2.5 million for inhumane practices . I am so sorry to hear about your dog! That is absolutely heartbreaking. They have the experience and tons of information that will help you. They even discuss how you create change in a shelter that won’t admit there is a problem. Best of luck. I have no doubt that you can help create meaningful change that will prevent others from experiencing the heartbreak you are suffering now.